Morgan Cross (Wrexham TC) and Megan Davies (Ruthin LTC) have fulfilled a dream by lifting a trophy at Wimbledon. The pair won the Regional 14U Girls Doubles at the HSBC Road to Wimbledon competition, beating top seeds Lillian Mould and Harriet Petley in the final, 6-4 7-6. HSBC Road to Wimbledon offers young players the chance to meet their tennis heroes and inspire the next generation of Wimbledon stars to take their tennis careers ‘from the back garden to Centre Court’. The victory was among a series of recent performance successes by players from Wales. Wil Jenkins (Neath) and Hugo Cochlin (David Lloyd Cardiff) both qualified for the main draw of the 14U singles at the Tennis Europe ITF (International Tennis Federation) tournament in Edinburgh, with Hugo progressing to the semi-finals. Both Joe White and James Story (both of XL Tennis Academy, Cardiff) fought through qualifying for the ITF 18Us with brother Matt Story (XL Tennis Academy and Memphis Tennis) reaching the semi-finals. In the Bournemouth ITF event, Matt went one better to reach the final, losing out to an in-form Damian Rodriguez 1-6 4-6. Wrexham’s Tom Thelwall-Jones also reached the doubles final at Bournemouth, losing a close battle to the Story brothers. More success followed in Bath at the Grade 2 competition, mainly in the doubles events: Elinor Beazley (Swansea TC) and Ellis Cochlin (David Lloyd Cardiff) reached the 16U girls final, and James Story and Alex Maggs won the 16U boys doubles – giving James a hat trick of consecutive doubles wins. James Story in 16U boys, with Michael Owen reaching the final of the 18U boys competition. and Tom Thelwall-Jones the semis of the doubles. 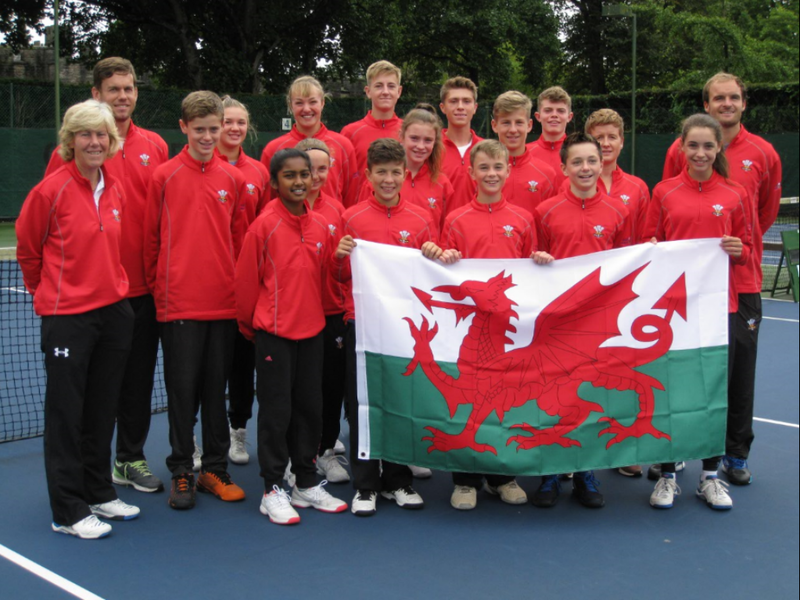 The 2016 summer season culminated with Wales hosting the Tri Nations championship at Cardiff LTC. Wales won the 12Us, with Scotland taking the 14Us and 18Us to beat Wales into second place overall. Hugo Cochlin, Megan Davies and David Lloyd Cardiff duo, Shay Ryan and Rufus Plane all achieved 100% records in their matches. “We have seen a fantastic run of success among our performance players,” said Tennis Wales chief executive, Peter Drew.